In honor of its recent launch of a line of knives in Canada, Chicago Cutlery conducted a study in major cities of both Canada and the United States to learn about the residents' cooking habits, especially when it comes to using knives. This survey was used to determine which are the Sharpest Cities in North America. 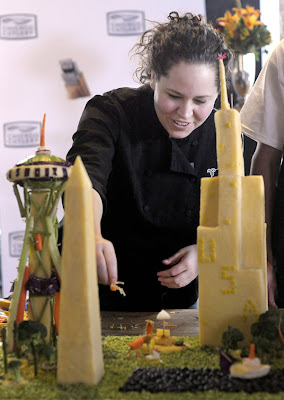 Top Chef winner Chef Stephanie Izard, who will be launching her first cookbook in 2011, had been recruited by Chicago Cutlery to educate American cooks about the proper usage of knives in food preparation. 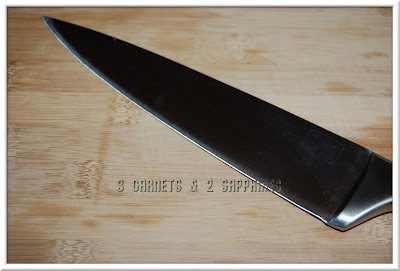 This includes simple things like chopping, dicing, and even storing one's knives. Here is a summary of the findings of this study . 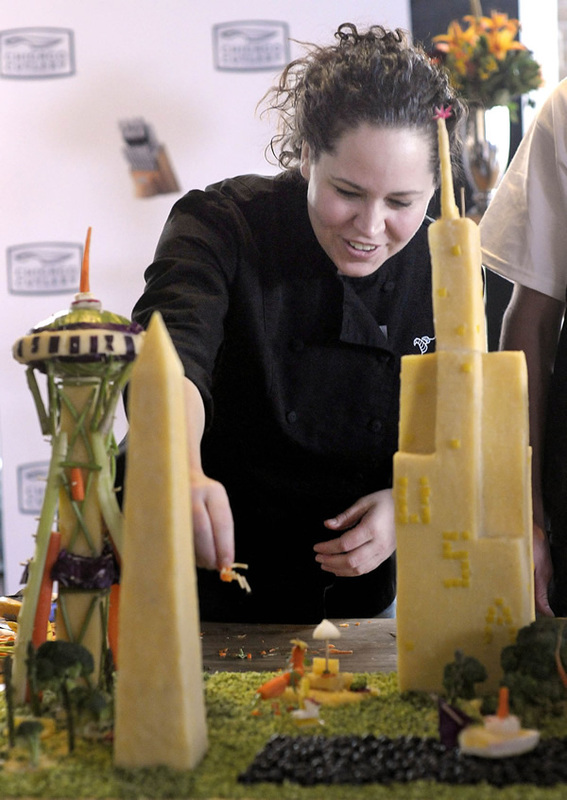 . .
•Houston Outranks Top U.S. Cities: Houston edged out residents of New York, L.A., and Chicago when it comes to cooking and knife knowledge, making this city’s residents the sharpest among those surveyed. •Pressed for Time or Not: New Yorkers indexed highest among cooks who are pressed for time, compared to Chicago residents who had more time to cook. • Most-used knives: The most popular type of knife used is the paring knife (30% of Canadians use most often and 26.5% of Americans), while santoku knives round out the bottom of the list(2.9% and 2.3%). This Chicago Cutlery Landmark Forged 8" Chef Knife was sent to us with the reusable StorEdge Edge Saver. 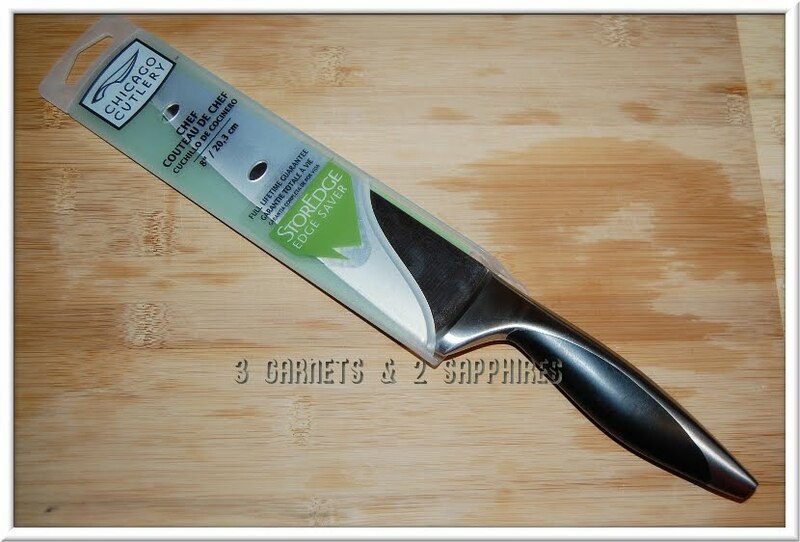 These Edge Savers are perfect for us because, they not only keep our knives sharper, but they allow us to safely store knives in a drawer rather than in a chopping block. To learn more about the Sharpest Cities in North America survey results or Chicago Cutlery products, visit ChicagoCutlery.com . 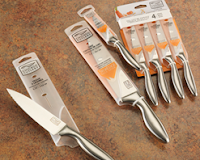 Thank you to Chicago Cutlery for sending us a complimentary sample product to base this review upon and for providing the survey results to share with our readers.